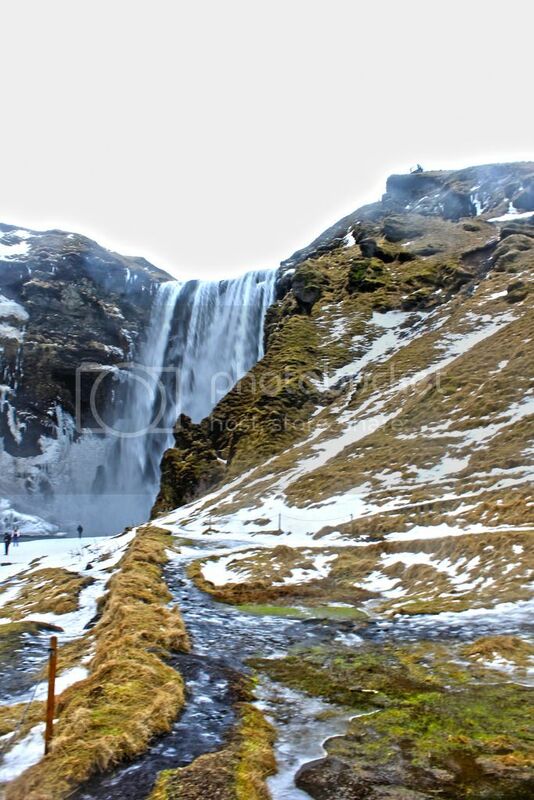 As our coach pulled up in the car park next to Skogafoss my face was plastered to the window in awe. 'Please take care when walking up to the falls' said our weary guide, probably praying that nobody would slip over and break a limb. The ground was full of ice and workers outside were shovelling stones for people to walk over where possible. We were determined to get as close as we could however. 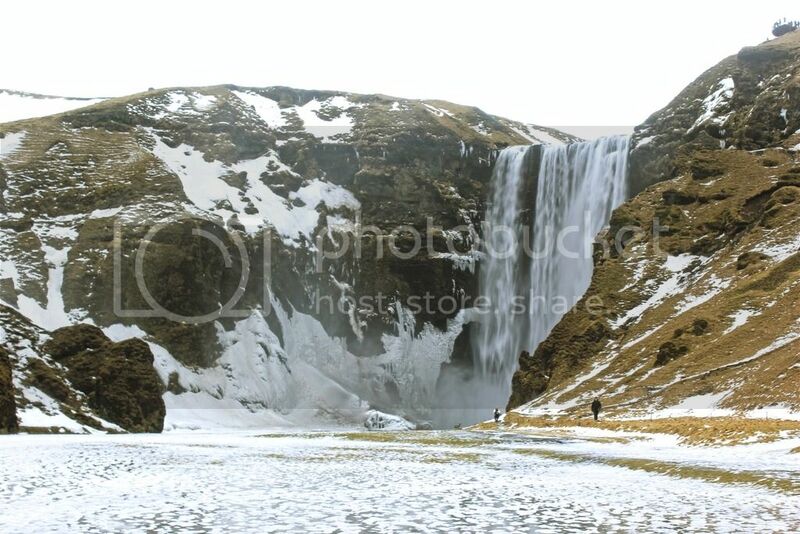 Just enough to feel the spray of water as it tumbled over the cliffside with elegance and ease. Boots don't fail me now! I've read that on sunny days it's common to see a rainbow due to all of the spray but it's no less impressive without. 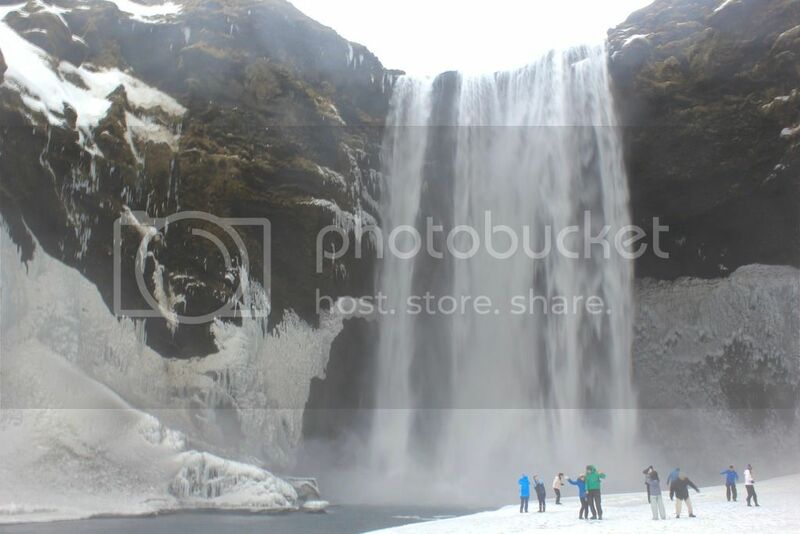 Have you ever been to Skógafoss falls? It isn't easy balancing on ice without skates!